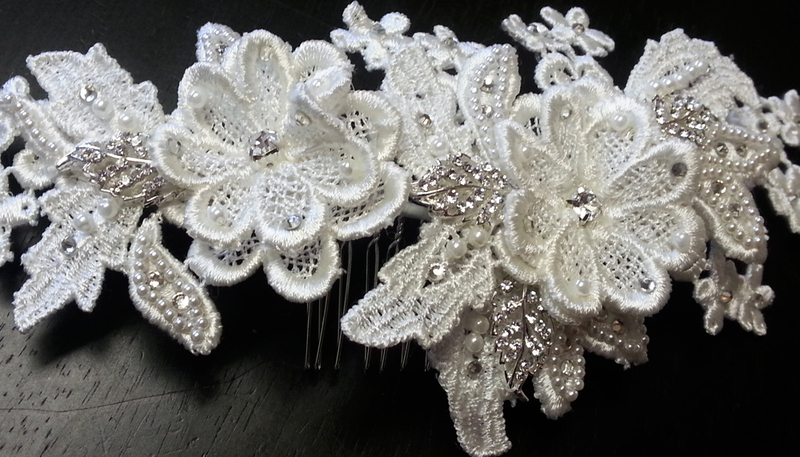 Beautiful white lace embellished hair comb for your wedding day! The leaves and small flowers have wire trim on the underside and can molded and shaped to the curve of your hairstyle. 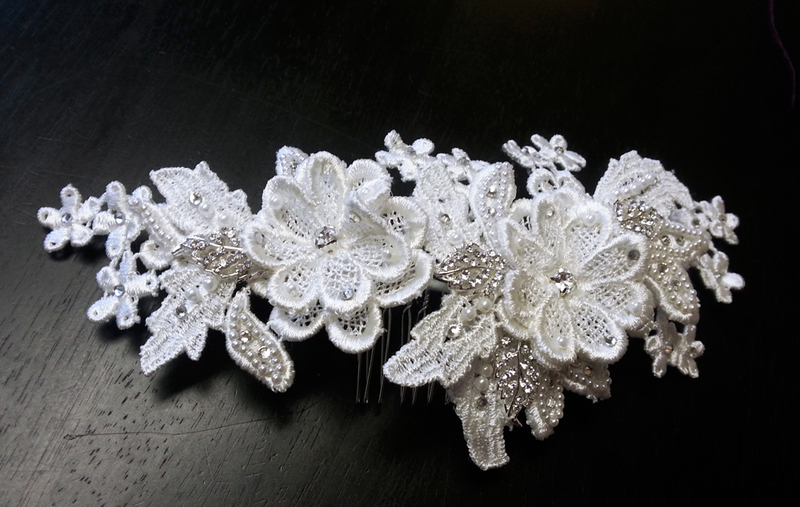 Wear this as a headband, side comb, or on top of your veil. Embellished with rhinestones, hand sewn white pearls and rhinestone leaves, the comb measures approximately 8″ long and up to 3″ wide. The comb is READY TO SHIP – purchase it here. 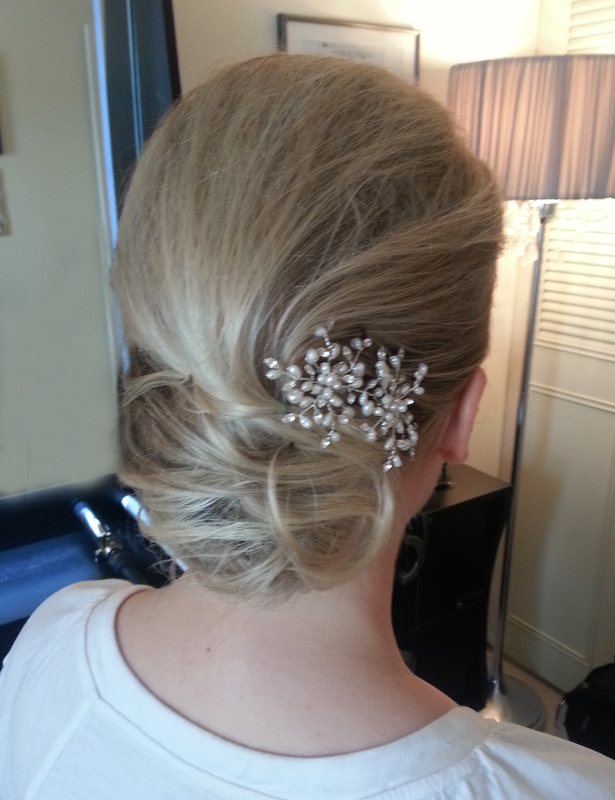 This is one of my favorite hair flowers…so delicate and versatile! 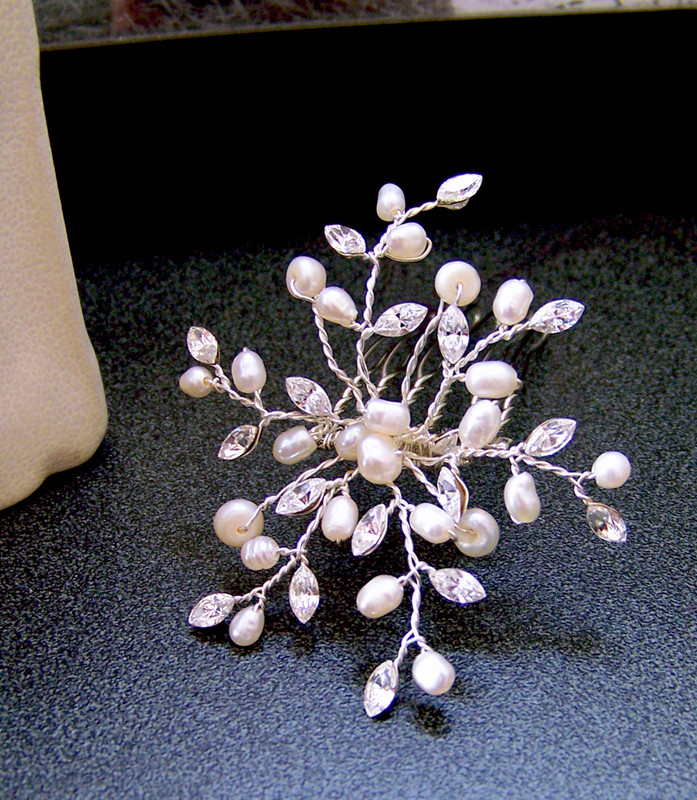 Each flower is handmade with freshwater pearl and rhinestone vines. Wear one, two or three…with or without a veil…it catches the light and sparkles through your veil as you walk down the aisle. A beautiful accessory with any hairstyle, the comb measures approximately 2″x2″ on a metal hair comb. Etsy brides Lauren and Megan wore two in their up-dos, placed side-by-side to form one larger pearl flower. Visit my Etsy shop to purchase one…or more…for your wedding day.